Newly released 2017 version of ez1099 software is a simpler tax solution for accountants printing bulk forms in the upcoming tax season. Download and test drive this innovative software at http://www.halfpricesoft.com. 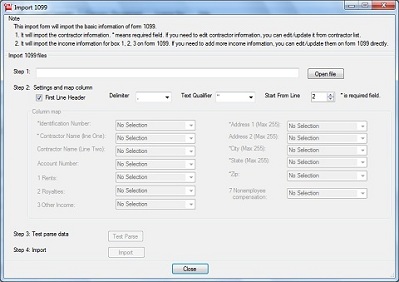 Tax preparers have a new and better way to print bulk forms when utilizing new 2017 ez1099 for the upcoming tax season. Business owners and tax professionals don’t fear the upcoming tax season when utilizing the newest version of ez1099 software. 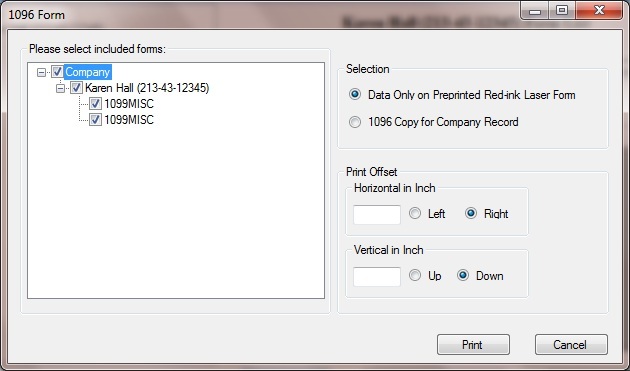 Halfpricesoft.com has improved the latest version of the 1099 preparing software to be a much simpler solution when printing bulk forms. “Tax preparers have a new and better way to print bulk forms when utilizing new 2017 ez1099 for the upcoming tax season.” Dr. Ge, founder of Halfpricesoft.com says. In addition to 1099-MISC forms, ez1099 supports other IRS forms: W2G, 1097BTC, 1098s (1098, 1098C, 1098E, 1098 T), 1099s (1099A, 1099B, 1099C, 1099CAP, 1099DIV, 1099G, 1099H, 1099INT, 1099LTC, 1099MISC, 1099OID, 1099PATR, 1099Q, 1099R, 1099S, 1099SA), 5498s(5498, 5498ESA, 5498SA), 8935, 3921, 3922, 1096. 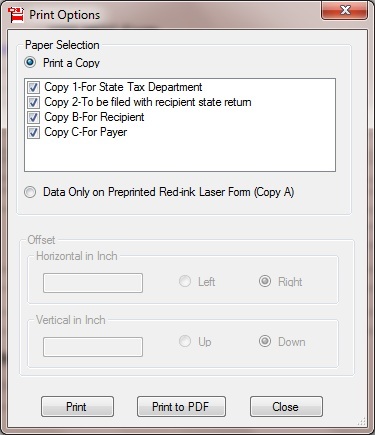 This tax form printing software can print recipient copies on white paper. 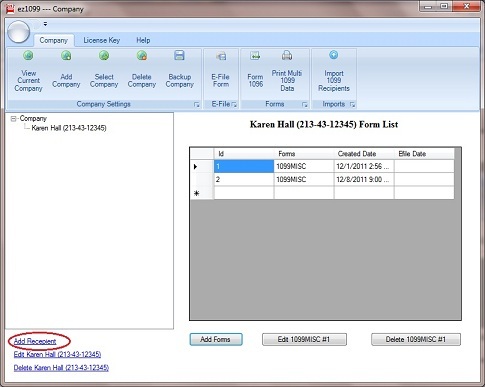 Recipient forms can also be printed in PDF format (advanced version required) to deliver via e-mail. 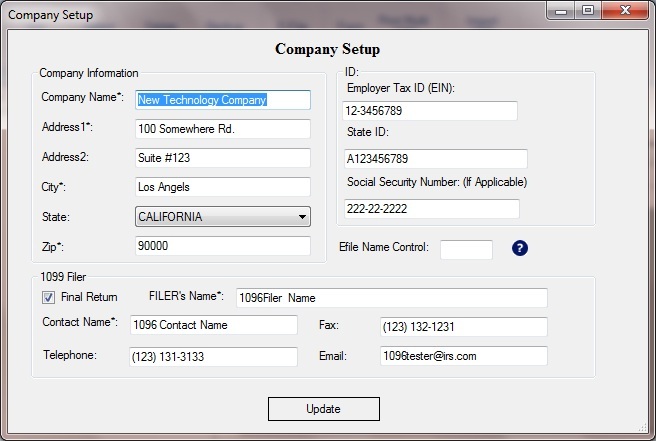 ez1099 software will undoubtedly save customers money on preprinted forms and allow for quicker and more flexible filing. The IRS does not currently certify substitute forms therefore, customers are required to print IRS copy A on red-ink printed form or generate the efile document that can be uploaded to IRS site. ez1099 is compatible with Windows 10 and 8.1. It can also run on Windows Vista system, 7, 8, and MAC machine when installed with Virtual Machine or Parallels. Cost is only $79 per installation for the standard version of ez1099 Software or $139 per installation for the advanced version with PDF file creation and electronic filing capability, ez1099 is affordable for any size business. 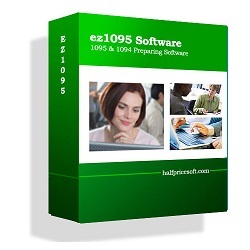 As always, customers are encouraged to download and try ez1099 without any risk, cost or obligation at http://halfpricesoft.com/1099-software-free-download.asp for evaluation and to ensure it meets company requirements before purchasing. 2- ez1099 blank paper prints out recipient copies. 3- Users save valuable time by eliminating the usually extensive learning curve – ez1099 2012 is designed to be simple and intuitive, allowing users to get started immediately. 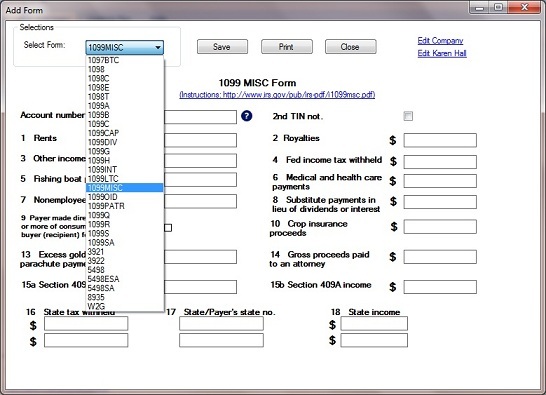 ez1099 Software with Form 1099s printing and e-filing capability is developed and distributed by Halfpricesoft.com. Based in Louisville, Ky., the software firm is committed to developing financial software for small businesses that is affordable and easy to use. Additional software titles available from Halfpricesoft.com include ezPaycheck, ezW2, ezCheckPrinting, ezCheckPersonal, ezACH Deposit and ezTimeSheet software.